The Hamburg-based architectural photographers Oliver Heinemann & Piet Niemann devote themselves in their personal work to social documentary photography by visualizing socially relevant moments of our time with seemingly distant imagery. They have observed a phenomenon that seems to be a result of our society’s increasing urge to individualize and self-fulfill - the ignorance of social disasters occurring outside of the industrial hemispheres. News about a new smartphone often takes more space in the media coverage than a terrorist attack in Baghdad. Thousands of people rush into giant tents, to drink themselves senseless, while not far away other people leave their tiny tents to risk their lives in order to get onto a ferry. Our awareness of being born into privilege increasingly disappears with every advertisement that implies that you are less if you don’t have more. In 2015 this boomerang of ignorance forcefully returned back into our safe world. With the increasing number of people fleeing because of the global political and economic crisis, the hidden problems now unavoidably penetrate the everyday life of Western society. The alleged surprise at this development and the resulting poor preparation is pure cynicism. In large parts of Europe, the shock of the refugee crisis resulted in negative and aggressive reactions towards the people seeking help. Instead of solidarity within Europe and standing by the self-imposed obligation of the asylum principle, we are witnessing thepolitical disintegration of the Union, and the return of nationalism. However, the opposing assessment „We can do it“ was actually one of the most realistic in this period. When you look at the numbers objectively, a distribution of refugees throughout all of Europe would not be difficult to manage in the individual countries. If one then compares the current crisis with the refugee movement during and after the Second World War, it has to become clear that with today’s - unlike then - existing resources of our society full of abundance, it would in fact be possible to lso practically stand by our European values. The largest illegal refugee camp in Western Europe is just a few hours away from us in Calais. It is a gathering point for refugees who risk their lives to get through the tunnel or by ferry to England. At the time of this photograph, an estimated 3,500 were „residents“ in the „Jungle“. Police and fences with razor wire make it virtually impossible to reach a ferry or the Euro Tunnel. Nevertheless, every evening, refugees leave their tents and risk their lives to somehow continue their journey. The camp itself is a legal vacuum. We could only enter it safely in the morning. The closer the time of the evening departure, the more aggressive and unpredictable the mood gets. The frustration of failure then often discharges at night, culminating in violent riots like in May 2016, with many injured. 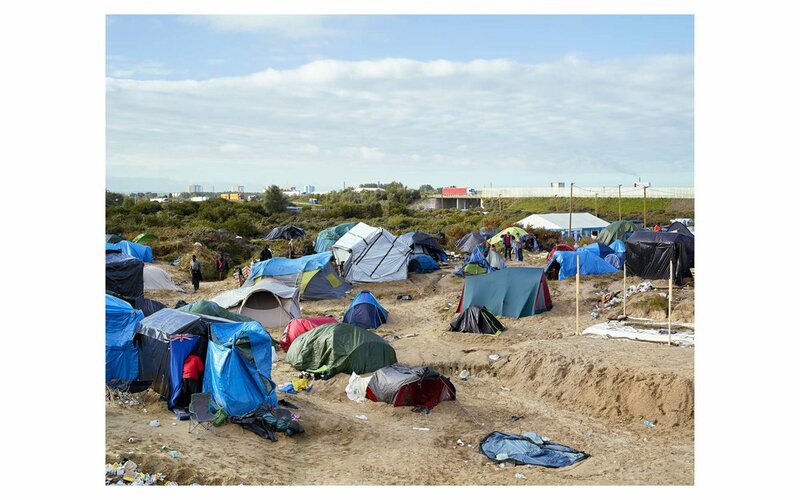 Despite several attempts to evacuate the camp, about 4,000–5,000 refugees still live in the dunes of Calais today. The State Office for Health and Social Affairs in Berlin is the first stop on the long road to official asylum in Germany for thousands of refugees. During the refugee crisis it became a symbol of the problems of the German authorities and their handling of the crisis. For weeks, at night, hundreds of people had to endure the weather to preserve a chance to be heard by the authorities in the morning. The atmosphere just before the gates opened was tense and several times panic led to an ”onslaught” of the office. The place has been repeatedly rocked by scandals. A refugee boy was abducted from the site, raped and murdered. A helper fabricated the story of a death of a waiting refugee to generate attention.The Office is expected to move to new premises by November 2016. They have been created to finally manage the high number of applicants. More employees and large waiting rooms are supposed to relieve refugees and staff. 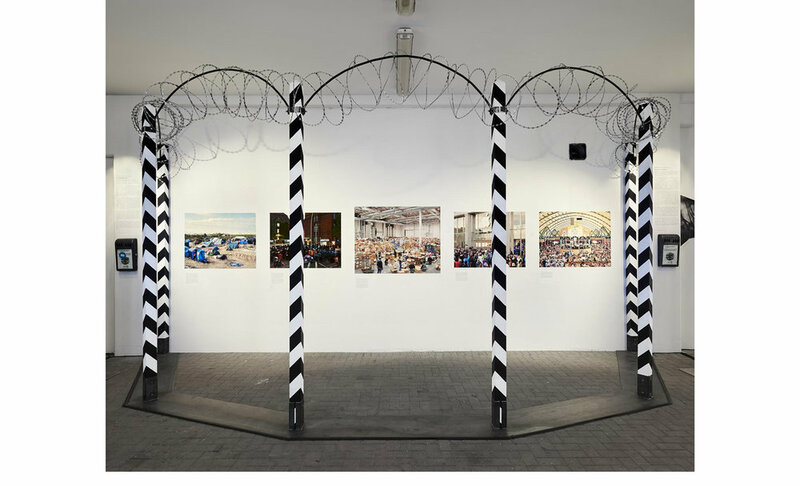 In August 2015 1,200 refugees were accommodated in one of the Hamburg exhibition halls. The hardship of the people generated a wave of solidarity among the population of Hamburg. In the neighboring hall one of the largest collection points for donations in Germany was spontaneously created. 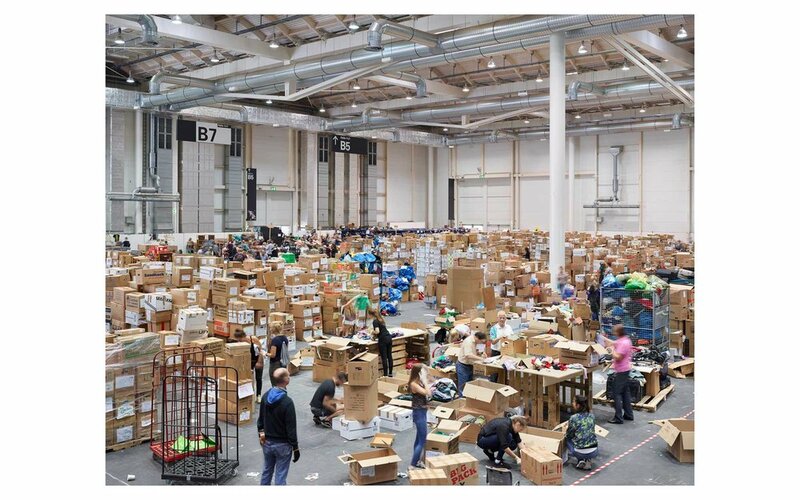 With the help of logistic professionals, local companies and especially thousands of helpful people, the collection centre became one of the most effective distribution points for all kinds of donations in Hamburg. From here, not only the local and other refugees in Hamburg were supplied but for example, also homeless shelters. Today the organization that is now called Hanseatic Help e.V. is located close to the fish market and still works mainly through the support of the population to professionally collect and distribute donations. Check out www.hanseatic-help.org to get involved. During the worldwide sales launch of a new smartphone, thousands of people queue up in front of the apple stores to become one of the first owners of the newest status symbol. Some camp up to two days and nights in any weather in front of the shops, just to be absolutely sure to be one of the earliest to get it. It is not uncommon to see people who get paid to be in line in order to give their place to their client moments before the doors open. 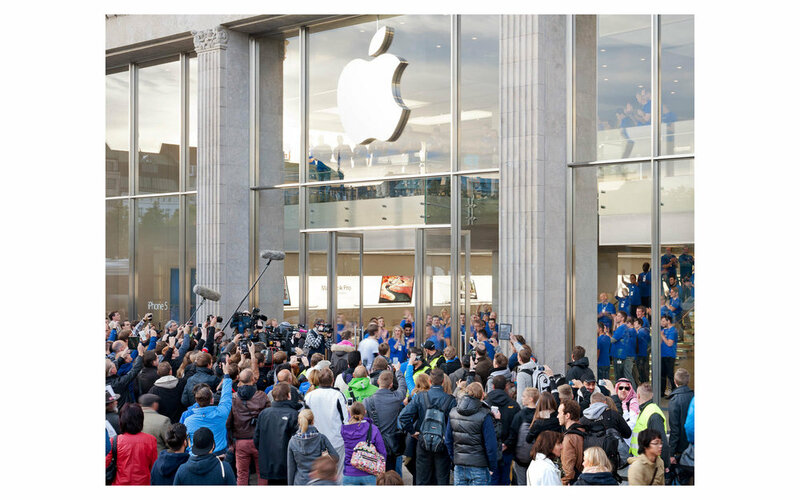 When the moment arrives, the so called Apple Geniuses applaud the customers that are pouring in. The press coverage maximizes the notion of an important event. In 2012, within the first 24 hours after the launch of the 680€ priced device, more than 2 million had been sold via the internet alone. The world’s biggest traditional festival takes place every year since 1810 and lasts between 16 and 18 days, located at the Theresienwiese in Munich. Every Year, about 6 million visitors consume 12.7 million pints of beer (6.6 million „Maß“), 500,000 chicken, 59,000 pig legs, 116 ox, 85 whole calves and 25 tons of fish in the 14 bigger and 15 smaller festival tents. The ”Löwenbräu Festzelt” contains 5,800 available seats inside and therefore belongs to the big tents. In 2011, visitors spent 1.1 billion Euros during the two weeks of the festival.